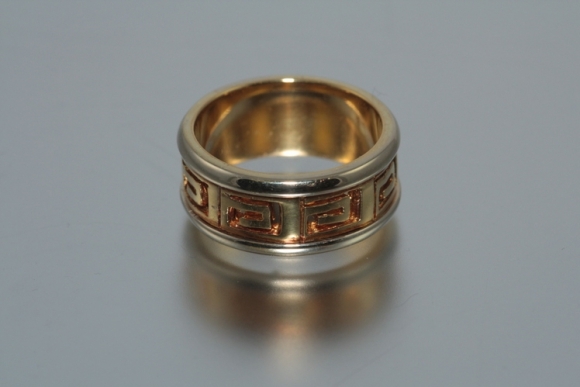 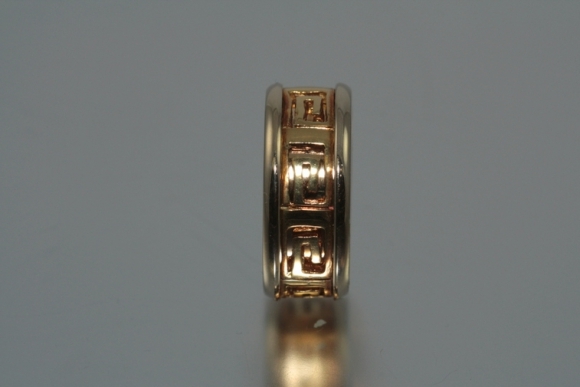 Crafted in 18K yellow gold with white gold edges, the ring is 8.5mm wide and has a 5.5mm Greek key design in the center. 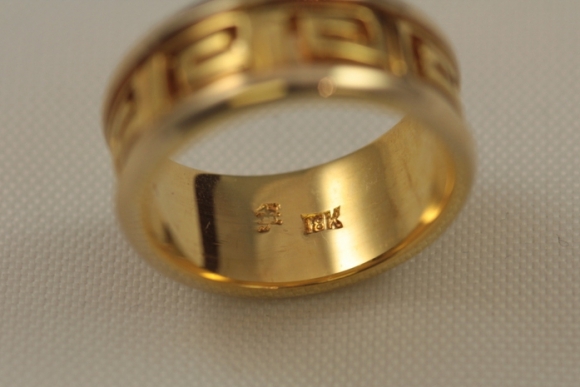 The white gold border is 1.5mm wide on each side. 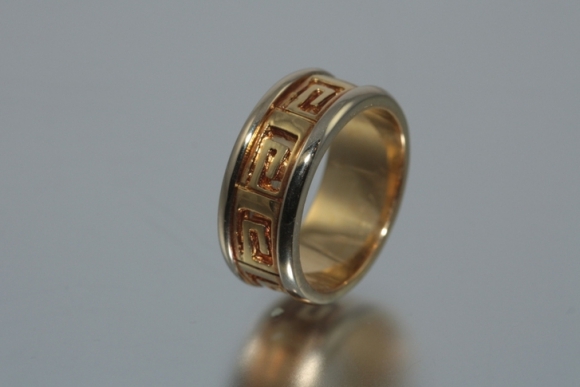 The ring is a size 7 and can not be sized.